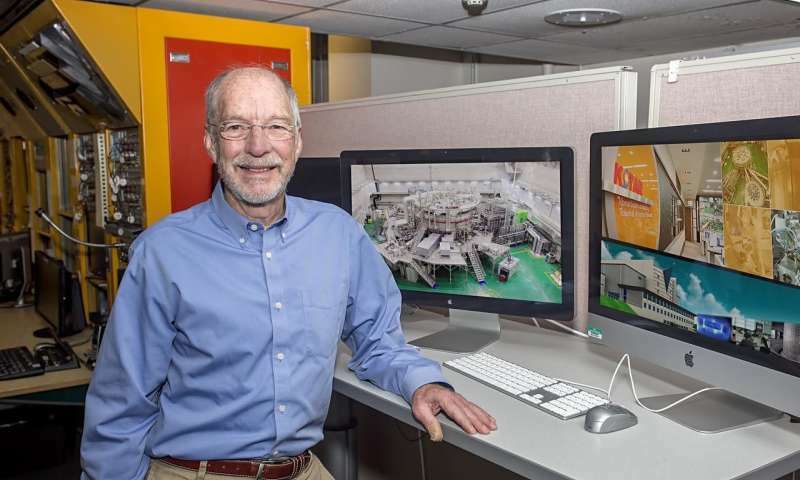 A major challenge facing the development of fusion energy is maintaining the ultra-hot plasma that fuels fusion reactions in a steady state, or sustainable, form using superconducting magnetic coils to avoid the tremendous power requirement of copper coils. While superconductors can allow a fusion reactor to operate indefinitely, controlling the plasma with superconductors presents a challenge because engineering constraints limit how quickly such magnetic coils can adjust when compared to copper coils that do not have the same constraints. The slower response time of these superconducting coils creates the problem. The slower pace makes it difficult to operate a stable discharge with the large plasma volume or extended vertical height required for producing fusion power. Exploration of this issue in a current superconducting device is particularly helpful for ITER, the international fusion experiment under construction in France, which will be operational in 2025. 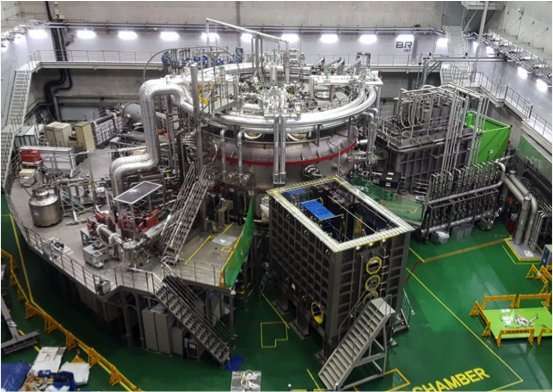 At the leading edge of this control challenge is the Korea Superconducting Tokamak Advanced Research (KSTAR) device, one of the largest superconducting tokamaks in the world. Its superconductors are made of niobium and tin, the same conductor that is planned for use in ITER. A team of U.S. and Korean researchers, led by physicist Dennis Mueller of the U.S. Department of Energy’s (DOE) Princeton Plasma Physics Laboratory (PPPL), has now sharply improved the stability of the elongated plasma in KSTAR, setting an example for how to address similar issues in other superconducting devices such as ITER. The successful control method, demonstrated this summer by Mueller and physicists from the National Fusion Research Institute (NFRI) in South Korea and General Atomics in San Diego, caps years of effort to control the vertical instability, which had allowed the plasma to bounce up and down in the 11-foot-high vacuum vessel. KSTAR tokamak showing second neutral beam that is being added to the tokamak in foreground. Credit: NFRI. Key to the fix was modified electronics for sensors that detect the magnetic field of the plasma and the plasma’s motion and position. The modified sensors quickly send a control signal that can provide feedback on the vertical position. The feedback uses an in-vessel vertical control coil (IVC) to push back on the changes in the vertical position and prevent termination of the plasma. “Using the improved sensor signals is critical for the control system to work well,” Mueller said. The new magnetic sensors took a team effort to develop and optimize. Providing the electronics were KSTAR researchers Jun Gyo Bak and Heungsu Kim. Leading the effort were Mueller and KSTAR’s Sang-hee Hahn. In addition to the sensor improvements, Nicholas Eidietis of General Atomics developed a control system that distinguishes between fast and slow changes in the sensor signals and directs different coils to respond to the plasma movement on different time scales. The end result of this international teamwork is a control system that responds effectively to movements of the plasma, enabling operation with taller plasmas that exceed the KSTAR design requirements. The DOE Office of Science (FES) supported this collaborative work.